Come see this well designed house with full dining room, large living room with wood burning fireplace. Kitchen is a large enough to host an eating area and center island. You don’t see that very often. Off the back is main floor laundry and back porch leading to a deck. Home also has two bathrooms, one on each floor. Basement is a standard Wolseley basement but straight and solid. New furnace and roof on the house. The second floor has three large bedrooms and a huge bathroom with soaker tub. Top floor has a cute sunroom off the back hallway in typical character home style. The house needs a little TLC but is of good value for the area. 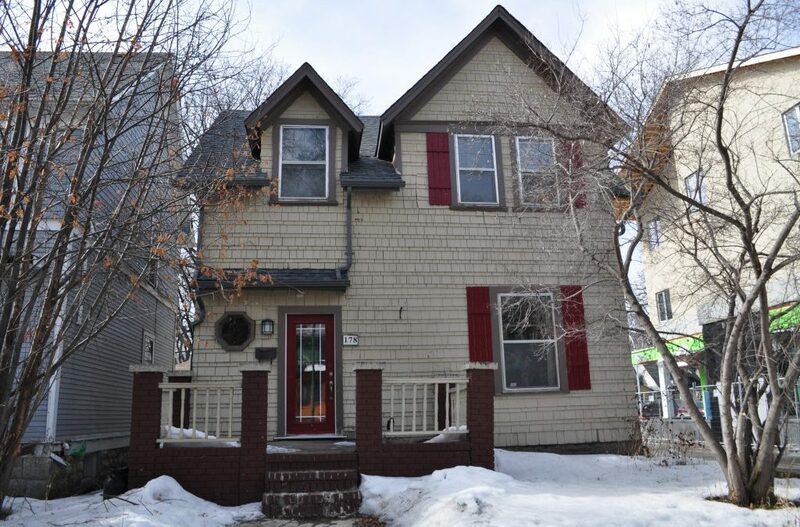 One of the most affordable homes in Wolseley. Located close to shops like De Luca’s, Barchet’s Grocery, Prairie Sky Books and walking distance to Laura Secord School.